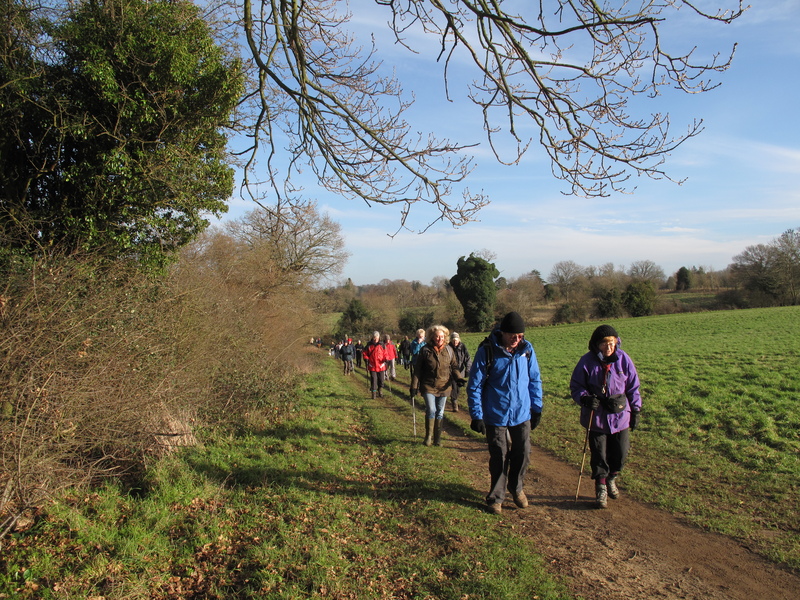 Thirty Surrey Hills Society members enjoyed a fantastic afternoon walk in the sunshine around Gomshall and Shere in the lovely weather on Saturday 16th January 2016. Chairman, Chris Howard and walk Leader, Steve Peacock led the walk from Gomshall Railways station to Shere. At Shere the group split in two – one group taking a longer walk via Albury’s beautiful Saxon church, while the other enjoyed a shorter walk up onto Albury Heath. Everyone met back at Tillings Tea rooms in Gomshall for a delicious afternoon tea. Thank you Tillings for your friendly, accommodating service (and delicious cakes! ).